Resize partition spaces without reformatting disk and reinstalling OS! 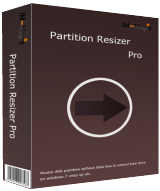 IM-Magic Partition Resizer Pro 3.5.0 was available as a giveaway on July 2, 2018! Need to resize partition without reformatting disk? 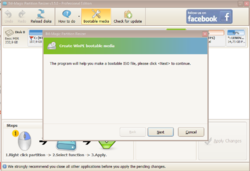 Try IM-Magic Partition Resizer Pro to resize partition spaces without reformatting disk, reinstalling OS, and don't trouble yourself moving large data from one place to another. Partition Resizer Pro developed by IM-Magic Inc. is 100% safe for resizing, redistributing disk space, and has a very intuitive interface. NB: The registration data is in the Readme file in the package you download! How would you improve IM-Magic Partition Resizer Pro 3.5.0 ? Please suggest ways to install this program. Upon double clicking resizer-pro-setup.exe I get a WinRAR diagnostic message:'"Cannot execute "C:\DOCUME~1\User\LOCALS~1\Temp\Rar$EXa8564.25147\resizer-pro-setup.exe"' And that "this isn't a valid Win32 program. How can I install it in Windows XP Pro with SP3? 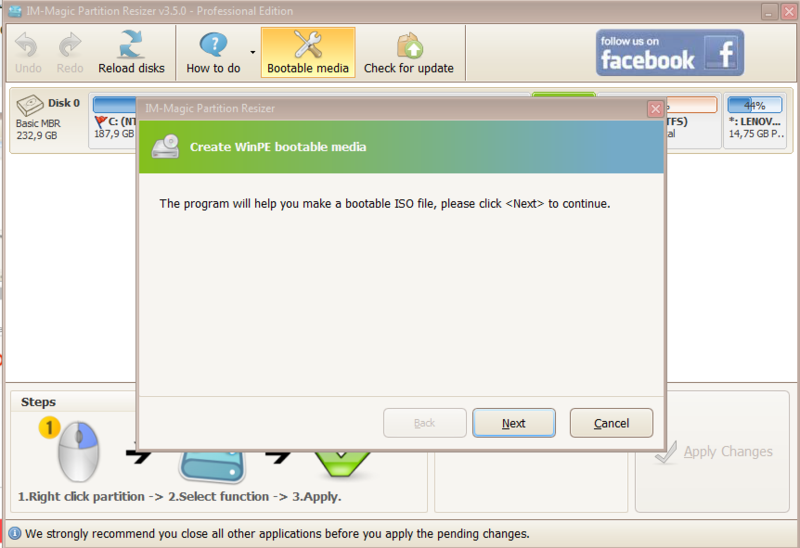 Please suggest ways to install this program. Upon double clicking resizer-pro-setup.exe I get a WinRAR diagnostic message:'"Cannot execute "C:\DOCUME~1\User\LOCALS~1\Temp\Rar$EXa8564.25147\resizer-pro-setup.exe"' And that "this isn't a valid Win32 program. How can I install it in Windows XP Pro with SP3? I thank you for your assistance. Very easy installation and registration on my laptop, win 10 x64 v1803. i really like this way. as by facebook way was failed. re:- no notifications of link were received after posted to fb wall 2 times. anyway thanks, IM-Magic Inc. & GOTD. Very easy installation and registration on my laptop, win 10 x64 v1803. i really like this way. but i had to use email download link, as by facebook way was failed. re:- no notifications of link were received after posted to fb wall 2 times. anyway thanks, IM-Magic Inc. & GOTD. Only finds my C: (boot) drive and an attached USB unit. Can't see either of the two other internal drives. Quite disappointed in what LOOKED like a good program. However, I mainly installed it to be able to enlarge my EFI partition or my System Reserved partition. This program locks you out, saying, "Microsoft Reserved Partition (or EFI Partition) is Not Supported." The FREE Mini-tool program does provide this support, I believe, but I'm not well educated on the topic enough to actually DO it yet. Win 10 has a bug where it will not install/update due to the Reserved Partition being too small. There's a manual workaround, but resizing the partition is the actual "fix." As such, unless you're just into tinkering, this product is a FAIL in my book. I've installed this Give-Away before and it does what I needed it to do. It's also a very clean and simple program. Thanks for the offering. Very pleased with this offering. Installed easily and registration was fast. Was finally able to access a big chunk of my hard drive now. I'm running a RAID10 drive configuration with 4@2TB drives. Biggest partition was only 2TB with 1.6 unallocated. Only issue I had was the program trying to tell me the max number for the new partition. It would reject it every time so I used the windows disk manager number and it mounted and formatted immediately. If you need to manage a partition, it doesn't get any better or easier. I ran setup and message "storage access drives failed to install" is displayed. I uninstalled and reinstalled with same message. I then downloaded again and same message. I run Win10 Home 32 bit. Did not try today's version yet but I have downloaded and used this program before and using it since for years, never disappoints. Very easy installation and registration on win 8.1 i-7 laptop. No problem seeing 500GB SSD & 1TB HDD. Don't need anything resized today, so that's as far I went. Thanks GAOTD & IM-Magic Inc. Very easy installation and registration on win 8.1 i-7 laptop. No problem seeing 500GB SSD & 1TB HDD. Don't need anything resized today, so that's as far I went. Thanks GAOTD & IM-Magic Inc.
Could anyone make an ISO? Ootje, Yes I sucessfully made an ISO with the built in wizard on 32bit Windows Vista SP2. It uses DISM.EXE and DISMHOST.EXE that must be on the system path somewhere. It should NOT work under an XP based operating system as that requires a completely different WinPE build technique and does not have the same boot structures as Vista and later. Activate is on the program when you start it the first time. Copy the key from the readme file and paste it in the activation box. Simple enough. Alex McLeod, to emphasise Activate is shown ONLY when you install the first time so if you participated in a previous versions giveaway of this edition of the product and activated that version then this version will normally re-use the previous license code and not need or let you enter a new code. Installed and activated on three systems with no problems. Right now, I have no need for this type of program but I will keep it just in case a need arises. This is the first, possibly useable program from GOTD in some time and I thank them for that. Installed and activated on three systems with no problems. Right now, I have no need for this type of program but I will keep it just in case a need arises. This is the first, possibly useable program from GOTD in some time and I thank them for that. Very fast and easy installation, with 'activate' button on top. Seems easy to use. A keeper for me. Thanks. FaceBook is also an avenue for support, faster sometimes than email, and often viewable by all users, so solutions are available to everyone.
. [ dadams ], FaceBook is also an avenue for support, faster sometimes than email, and often viewable by all users, so solutions are available to everyone. .
dadams, thankfully it is a self contained graphic and not downloaded from facebook servers so is not a facebook tracking beacon. But yes it is a pathetic support channel since it demands customers have a facebook account to contact them via facebook messenger or to post on their wall if allowed and tie the anonymous facebook tracking data across the web via their web beacons to a real world person rather than just an anonymous numbered ID for it to monetise. David, Yes, same here. The program, as you say, seems to be fully installed without the "activation key" given in the Readme file. This sort of thing detracts from one's confidence in the program. David J Wilson, And for me no cause when i opened program i saw at top (in opened window of program) phrase Activate program or something like this , then i copied key and clicked Activate in section about (i dont remember exactly) then after second start program more not showed this phrase. When program was activated by owners of giveawayoftheday then they never adding key number in their readme file. Dima, It's interesting that we have different experiences. I copied the key before running Setup. I wonder if the program "read" it from the clipboard? David J Wilson, I dont know but maybe it worked for you. I just wrote that as rule they never adding in their text file ''readme'' key for manual activation by user if they themselves activated the program before. At first star Program not asked me to type key but i saw phrase like Activate program , it was exactly in window of program when it opened in first time.. then i copied key and also opened About - Registry or Actvate (i dont remember exactly , im sorry) then just pasted in their key and all more program not showed those phrase at next start. TK, I guess that's the most sensible explanation, although I uninstalled the previous version, using Soft Organiser Pro to "remove all traces." It seems that I've now learned something about Soft Organiser Pro! David J Wilson, I never trust impossible claims like "remove all traces" It should at its most boastfull be "remove all known traces" Those tools are like science, no absolute truths and only as accurate as current knowledge permits. Oreguy, This one (today action) looks easy and fast in using too. I like program from easeus too. Greetings from Kyiv. Oreguy, This one (today action) looks easy and fast in using too. I like program from easeus too. Greetings from Kyiv. Oreguy, Dima, (88%) 22 from 24 users also said that this is Nice program so not need to click minuses for mine reply. Im longest time with GOTD and used other programs about Partition Management. And i again saying that it is easy and fast program in using. Dima, I disagree. The "no" is for bad or useless comments. One could glean from your score what kind of comment you gave. mike, Im agreed with you and think that if people rare using 'partitioning software' its just cause they dont know how to use them , cause them scaring risk for their OS and their data (if they keeping it on their disk with system) , but they even dont know that for example Acronis for example can easy back their system to life after any accident.. as and their Data.. Creators of those program posted on their site videos hot to use their program , this is very good and plus for creators. Oreguy, nobody as far as I can see said it was. I use Aomei Partition Assistant (paid) which I find very good but out of curiosity I've downloaded and installed today's software and found it to be just as good, I couldn't find anything wrong with it ... Does what it is supposed to do quickly, easily and without any fuss. Ideal for anyone that needs a partition manager. Oreguy, for creating partions it is NOT better as this is not intended to create partitions at all, it is impossible to determine if this tools claims of being better or safer at resizing partitions than any other tool that resizes partitions including the Microsoft own disk managment console which does also extend or shrink NTFS volumes which are just other names for resizing partitions. TK, if it is not intended to create partitions then why would the developer include this and many other functions it is capable of doing? It might be advertised as a resizing tool but if you look under the hood it is a capable partition manager, don't think I've ever said this but I think the developer is doing themselves short ... OMG, now I'm going to get lots of dislikes for saying this.